For primer I started with the Too Faced Hangover RX, and then used the Smashbox primer water on top of that. I then moved onto my eyebrows. 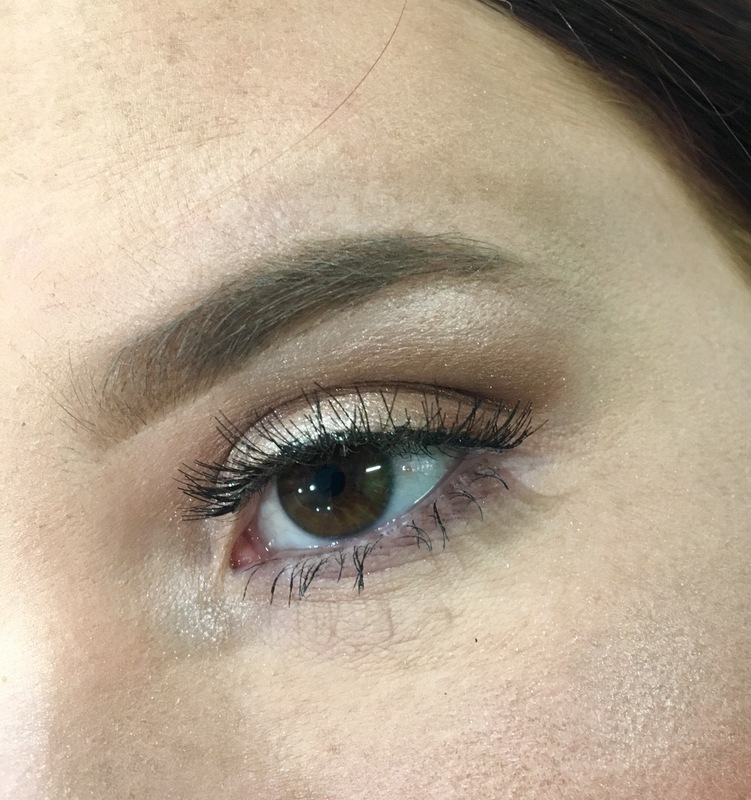 As usual I used the ABH Dip Brow Pomade in Soft Brown, and then carved them out with the MAC Paint Pot in Painterly. To prime my lid, I also used the same MAC Paint Pot. 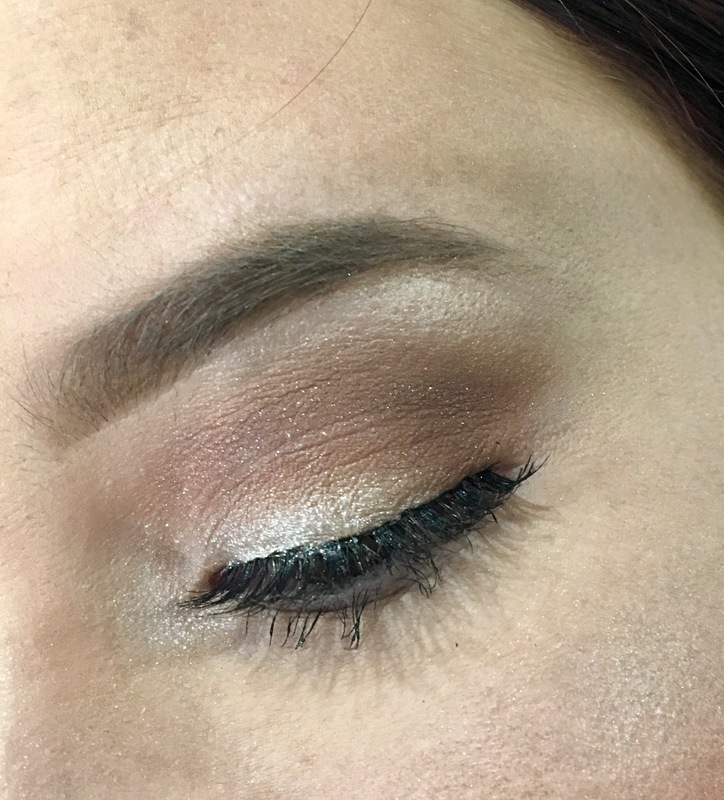 I used a light cream shade to set that, and then used the ABH Modern Renaissance Palette for my shadows. I started with Raw Sienna and applied that in the crease as my transition shade. I then applied Buon Fresco also in the crease to deepen it a bit. I then went in with Red Ochre and applied that on the outer corner and in the crease. Lastly, I applied the Makeup For Ever Starlit Powder in number 13 to the lid. This is a GORGEOUS light golden champagne that is very sparkly. For the lower Lash line I just applied the same Buon Fresco shade and blended that out. 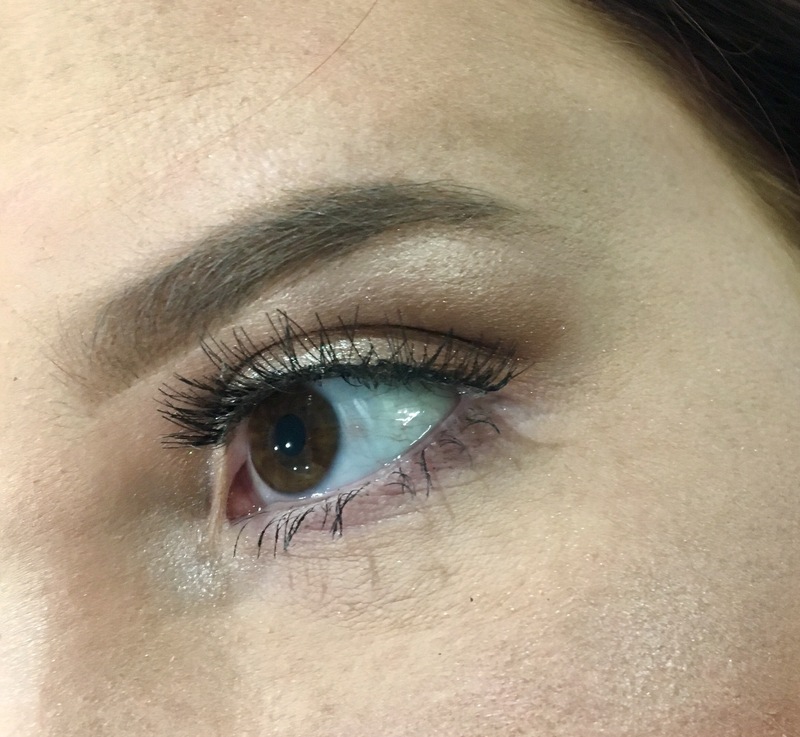 I decided to skip the liner today, and just applied lashes. The lashes I used were the Ardell Baby Wispies. I love them to add just a little bit to a look without being too much. For my lower lashes I used the Dior It Lash mascara. 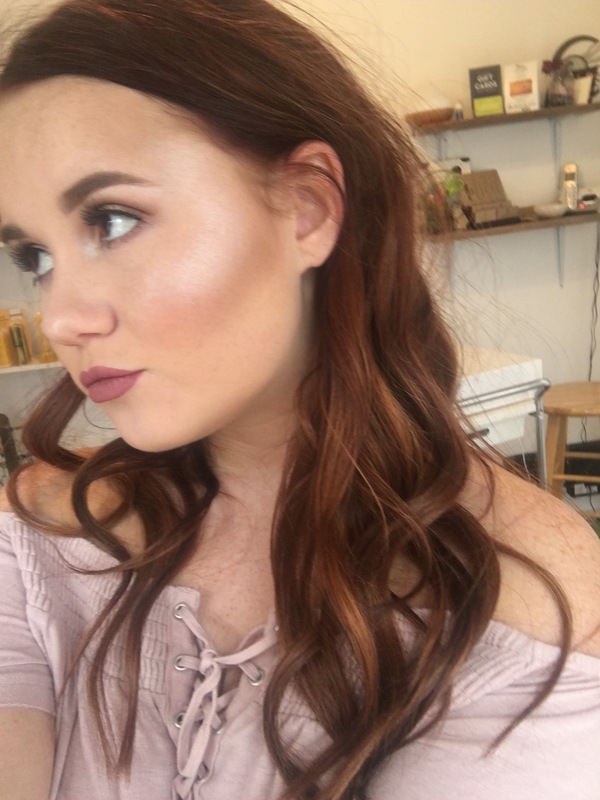 For my foundation I used the Smashbox Studio Skin Foundation. I recently started using this foundation and I really like it! It can look fairly natural, but is definitely buildable. I then went in with concealer under my eyes, on my chin, nose, and between my eyebrows. After that I baked with the Maybelline HD Setting powder. 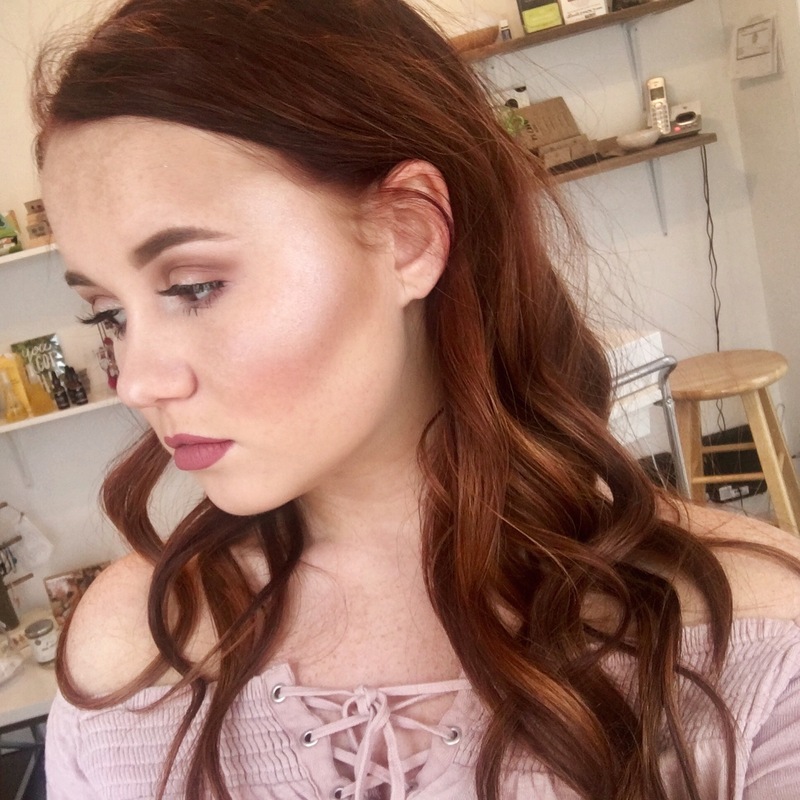 For my contour I used the ABH Contour Kit and contoured with the shade Fawn. For blush I used the Studio Makeup Soft Blend Blush in Wildflower. To highlight today I used the ABH Nicole Guerriero Glow Kit and mixed the shades Forever Young and Forever Lit. It’s also what I highlighted my inner corner with. Lastly for lips I used the Real Her Matte Liquid Lipstick in the shade Ladylove. I’ve heard so many good things about the Modern Renaissance palette! I feel like I need to get it!